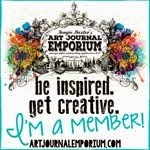 It's the first Saturday in April and that means it's time for our next art journaling challenge over at Soul Scrappers. "But what I knew was that the earth underneath was alive and that by tomorrow, certainly the day after, it would be green again." This month's album cover credits: Studio Tangie/Studio Sherri Collab-Fashion Bee, Studio Tangie-AJF Rocking Horse Fly, Graffiti Papers, Studio Rebbecca-Pribble, Captivated Visions-Mish Mash Stamps 01, Sissy Sparrows-Project 19 Room1. All these designers can be found at Scrapbookgraphics.com. 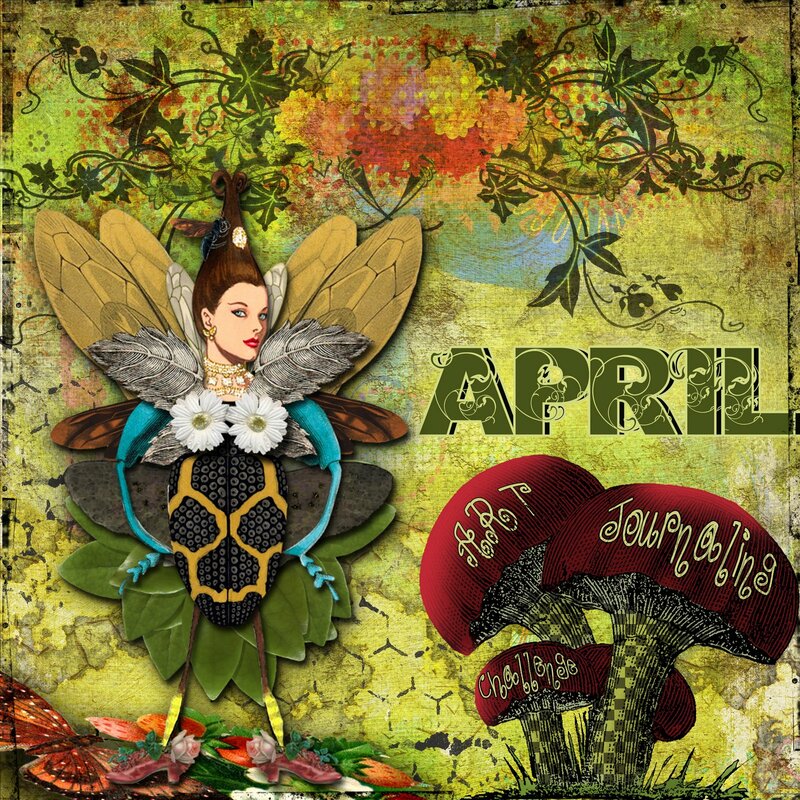 "April" was created with a free font from DaFont.com called Orial.